Translators frequently encounter the situation that agreed fees are not quite paid as per the original agreement. Occasionally there is the attempt to re-negotiate after delivery, and sometimes payment is simply late (who hasn’t encountered the response “Our payment terms are…” and thought that that is irrelevant, since the agreement stipulated one’s own payment terms). In these situations the amount of good will one wishes to extend to one’s clients varies from translator to translator, but what happens when a payment is not forthcoming at all, or seriously delayed? European legislation has dealt with the matter of late payment of commercial debts in Directive 2011/7/EU on combating late payment in commercial transactions. This directive sets out clear guidelines in respect of when payments fall due (even if this is not explicitly specified in the Agreement or the invoice), and what interest and fees may be charged. The directive has been implemented in the different EU countries, so the exact details will differ from country to country, but the basic minimum entitlements apply across the EU. In this talk I will take the UK (Late Payment of Commercial Debts Act 1998 & The Late Payment of Commercial Debts Regulations 2013) and Germany (German Civil Code) as examples of how this directive has been implemented, and what this means in practical terms for translators chasing their money. 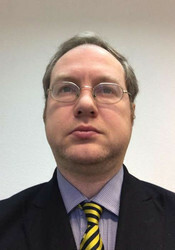 Richard Delaney is a bilingual German and English speaker, a barrister by training, and a linguist by vocation. A specialised legal translator since 2003, he was involved in setting up and teaching City University’s MA in Legal Translation from 2008 to 2013, and regularly holds professional development seminars for translators on various aspects of legal translation and the English legal system. He is a member of the BDÜ, a Fellow of the Chartered Institute of Linguists, and a Chartered Linguist. For more information about Richard, visit his website, follow him on Facebook or connect with him on LinkedIn.